Travertine is a naturally beautiful stone that is formed over years of accumulation of minerals under intense pressure & heat. This is a natural mineral that is made when the minerals dissolved under water leave behind sediments on the outskirts of beaches. 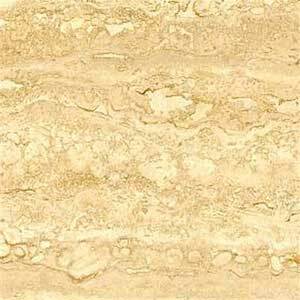 Although travertine counter tops are quite attractive, they are reactive with acidic liquids or chemicals. Orange juice, lemon juice, lime juice and vinegar are all highly reactive to the travertine counter tops.